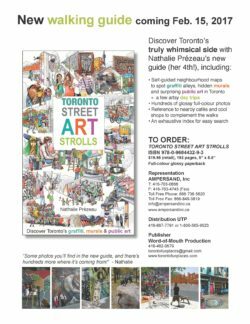 Word of Mouth Production - Ampersand Inc.
Word of Mouth Production came to be when author and publisher Nathalie Prézeau lost her babysitter and began exploring the streets of Toronto with her kid in tow. A few years later, Toronto Fun Places was born. Proudly made in Canada. For more information on Word of Mouth Production, contact Ampersand.